With this 3 months calendar you'll have a clear overview of the coming three months. 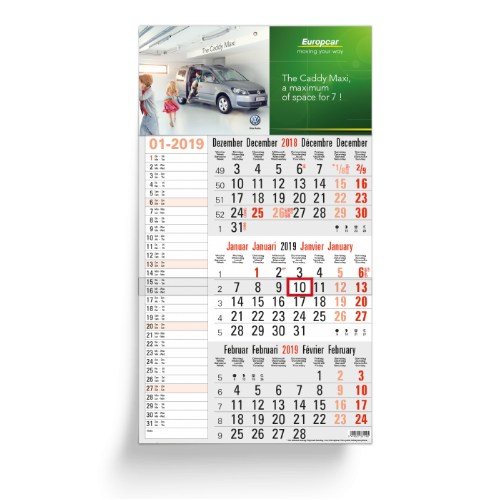 This calendar can be used for your own business stationary or as a promotional gift to give away. 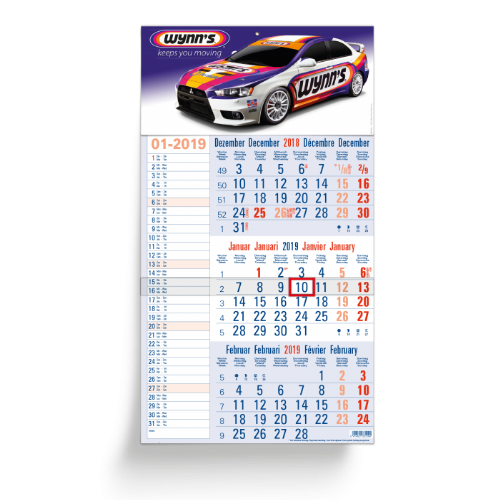 Choose between 2 colours for the calendrium to match with your design, which can be printed in full colour on the top of the page. Available from 50 pieces! Watch out! The calendars are foldable. There is a micro perforation line on each calendar sheet in order to fold them without any creases.